The Scottish scheme although cheap is not fit for purpose! Only the good landlords register as we fear a £50k fine but also see the benefits of it if it were used properly. About 7 years ago, the police kicked in a door of one of my flats as there was an issue and they couldn’t find my contact details. I asked why they didn’t use the register to find me and they said they had never heard of it lol. I would happily become a bounty hunter and split the £50k with them every time I came across an unregistered landlord. Surely they could employ someone to do this job and pay them a handsome salary with their first catch, the rest would be profit! I have to agree it is just another tax on us honest landlords - the dishonest ones must laugh at us and know something we don’t. Puts life and our woes into perspective. My wife and I are currently in Marbella and heading to the Algarve probably January or February to see what it is like and whether it is for us or not. Would you be available for a free lunch so that we could bend your ear on the pros and cons of relocating to Portugal? We are done with the UK, will be crippled by S24 and enjoying our winter here with no dramas - it is amazing how focused you become when not surrounded by constant noise from the press! 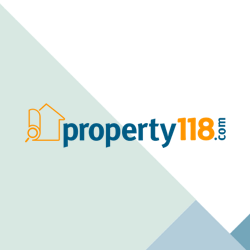 We would definitely consider renting long term or buying in Marbella but if Portugal makes more sense we would consider the Algarve. Been to Madeira a couple of times and it was amazing! Mark please pass on Lees details or pass him mine. I have pledged my support by email and am keen to pay to get this progressed. I suggest collecting all pledges and start a national newspaper marketing campaign with hard hitting facts to attract more landlords. 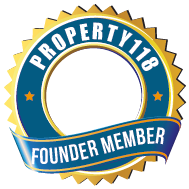 Property 118 is a fabulous website but there are millions of landlords who have not heard of it. I tell every landlord I meet about it but who knows if they bother to sign up and read. We need to spread the net wider and gather as much support as possible.